The idea that the twenty-first century will be marked by the ascendency of Asia, and more specifically the rise of China as a global superpower, has gained broad currency in academic discussions, policy decisions, and general public opinion around the world. After focusing on the Middle East for much of the last two decades, the United States has recently declared a pivot to the Asia-Pacific region, for example, while opinion surveys show majorities of Americans already believe China’s economy has overtaken that of the US (China is currently number two in absolute terms but ranks around 120th place on a per capita basis measured in purchasing power parity). The idea that some type of US-China rivalry will come to dominate the international agenda has assumed a certain air of inevitability for many. This provides an attractive storyline of an established power facing a rising upstart, yet the most serious challenges will likely come from Asian countries trying to reconcile the realities of increasing economic integration with long-standing nationalist antagonisms within the region. The disputes over maritime borders in East and Southeast Asia have proven to be recurring flashpoints highlighting these entanglements. On their surface, the issue of rightful ownership of a series of tiny archipelagoes, outcroppings, and reefs, most of which are uninhabited, seems pointless and even a bit silly. Yet they have emerged as major sources of tension, resentment, and anger across the region. The Paracel Islands are one such source of dispute. The islands of this remote archipelago straddle the approximate halfway point between China and Vietnam in the South China Sea. Despite this, they have assumed an outsized role in international relations. Both China and Vietnam claim the Paracels as part of their sovereign territory, as does Taiwan, but China has exercised administrative control since expelling Vietnamese troops from the archipelago about thirty years ago. The islands are themselves unremarkable and support no permanent inhabitants. Yet sovereign control over the Paracels would provide the basis for that country to establish a formal exclusive economic zone under the United Nations Convention on the Law of the Sea. Extending out in a 200 mile circumference from each Paracels landmass, this maritime zone would encompass some productive fishing areas, but the real prize is the possibility of discovering undersea oil and gas deposits. 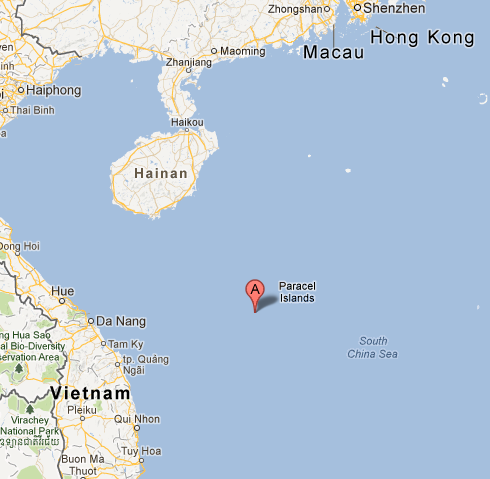 Vietnam and China also view the Paracels as part of their broader territorial/maritime claims throughout the region, including the disputed Spratley Islands in the southern South China Sea. Like the Paracels, the Spratley archipelago consists of miniscule islands lacking native residents and is surrounded by productive fisheries. Unlike the Paracels, the Spratley area is already known to contain significant undersea fossil fuel deposits, although the amount is unknown. In addition to Vietnam, China, and Taiwan, the Philippines, Malaysia, and Brunei also claim all or portions of the Spratley area. This helps explain the recent controversies of July 2012. After the Vietnamese government declared the Paracels and Spratleys within its maritime territory, China responded by raising the Parcels to the status of a prefecture with its own “capital,” which was basically China’s pre-existing military garrison. Predictably, this prompted a denunciation from Vietnam. The Philippines and the US also issued negative statements aimed at China. Neither have direct territorial or maritime claims in the Paracels, but both would undoubtedly like to check China’s ambitions in the region. These gestures were symbolic, but the dispute over the Senkaku Islands (Diaoyu) in the East China Sea has triggered more active confrontations. Like the Paracels, the Senkaku Islands are uninhabited and the surrounding seas may contain significant oil deposits, but the cast of characters is slightly different here, involving Japan and the US in addition to China and Taiwan. Japan administered the islands before World War II and resumed de facto control after the US ended its military occupation of Japan’s Ryukyu Islands in the 1970s. The situation lingered as a relatively minor irritant in Japanese-Chinese-Taiwanese relations, but the situation has threatened to boil over during 2012. Reacting to pressures from domestic nationalist groups, the Japanese government arranged to purchase several of the islands that had been privately owned by a Japanese family. This triggered a flurry of diplomatic activity including formal complaints, angry denunciations, and violent streets protests. There has also been a steady war of nerves at sea as Japanese coast guard vessels have struggled to repel flotillas of Taiwanese and Chinese fishing trawlers and small naval craft from entering the Senkaku waters. So far, the maritime clashes have been limited to exchanges with water cannons, but Japanese business interests in China have been subject to arson, vandalism, and calls for a nation-wide boycott. Given the intense economic linkages between China and Japan, any trade disruptions would have serious implications within Asia and the broader global economy. Despite being diminutive in area, the Paracels, Senkakus, and Spratleys have become entangled with outsized nationalist sentiment. These disputes have the potential to derail Asia’s economic growth and that would likely far outweigh any gains resulting from maritime resource development. This basic contradiction, between the zero-sum approach to territory inherent in the established state system on one hand and the increasingly trans-national nature of economic development on the other hand, is illustrative of the contradictory nature of borders in the early twenty-first century. The prospects of resolving these disputes are slim to none in the short term. The most likely scenario is the maintenance of the status quo, reflecting the odd adage of possession being nine-tenths of the law, as well as the huge political and economic risks inherent in any effort to overturn the current state of affairs. Yet the forces of nationalism have repeatedly shown their ability to turn events in unexpected and uncontrollable ways. Alexander C. Diener is an Assistant Professor of Geography at the University of Kansas. He is the author of One Homeland or Two? : Nationalization and Transnationalization of Mongolia’s Kazakhs, and co-author (with Joshua Hagen) of Borders: A Very Short Introduction. Joshua Hagen is Professor of Geography at Marshall University. 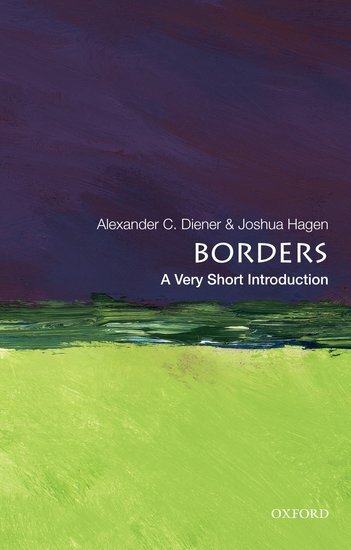 He is the co-editor of Borderlines and Borderlands: Political Oddities at the Edge of the National State (with Alexander C. Diener) and author of Preservation, Tourism and Nationalism: The Jewel of the German Past.